With the change in weather and seasons, we can all anticipate long evenings spent in our cozy homes with family and friends. If you’re looking for indoor activities to pass the time why not try some of these holiday craft ideas? You’ll be recycling and entertaining the whole family at the same time! If you are looking for a creative cork board to hold your keys, message reminders, and holiday cards this could be a solution for you. Collect corks from wine bottles and cut them in half. Buy or salvage a wooden frame to use around the board. Superglue or hot glue them to a piece of wood or sturdy cardboard and you will have a recycled corkboard. If you can’t find enough corks, ask a local restaurant if they wouldn’t mind giving you their old corks. 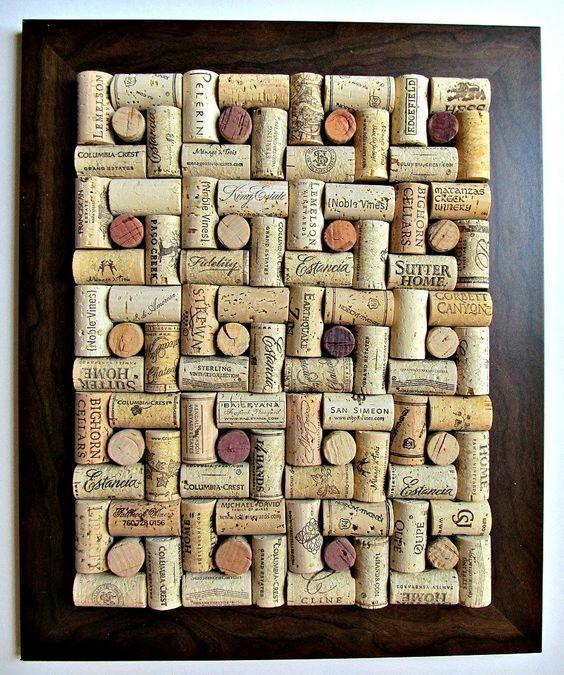 If you have extra corks left over, try other cork recycled crafts. The kids can use them to make their own stamps. Have them draw a shape with a pencil (perhaps a leaf or pumpkin for the fall season or a snowman or snowflake for the winter season) and use a knife to cut around the drawing. With a little paint and recycled paper, they’ll be ready to go. There are many ways you can reuse baby food jars. Kids can decorate the jars with markers, paint, or paper shapes and the jars can be used for holding nails, screws, or candles. 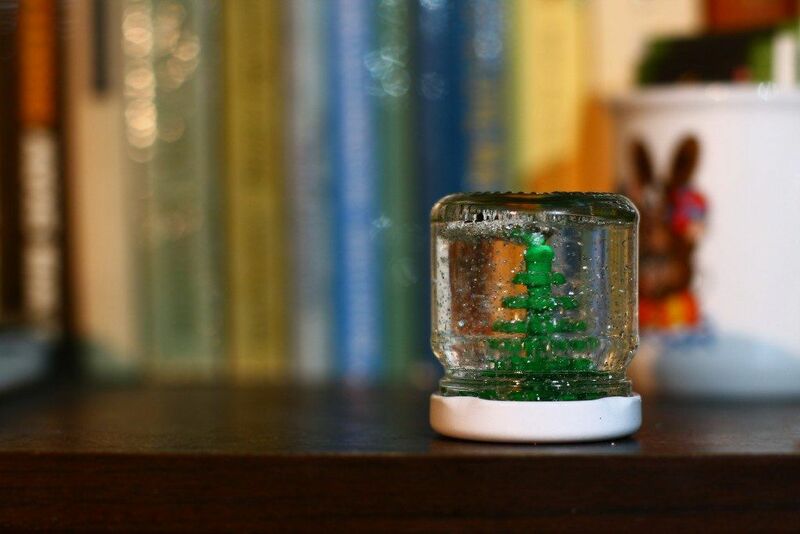 They can also be turned into a snow globe with tiny figurines hot glued to the inside of the lid. After the jar is filled with water and a little glitter they can shake away. Have a suitcase with a broken wheel or a vintage suitcase you are not sure what to do with? Turn it into a cozy bed for your pets. For a vintage suitcase remove the hinges; for a newer suitcase cut away the zipping flap. You can use memory foam or old pillows to fill the suitcase and old fabric or blankets to decorate. If the suitcase is bare let the children decorate with non-toxic fabric paint.